And I don't mean the space ones ;) lol. Yesterday, I had the whole day ahead of me for some sewing room time. And not a clue where to start or what to work on. I have been doing everything I can to avoid starting this for Boy4. I will say, some of the piecing instructions on that scare me a little bit! 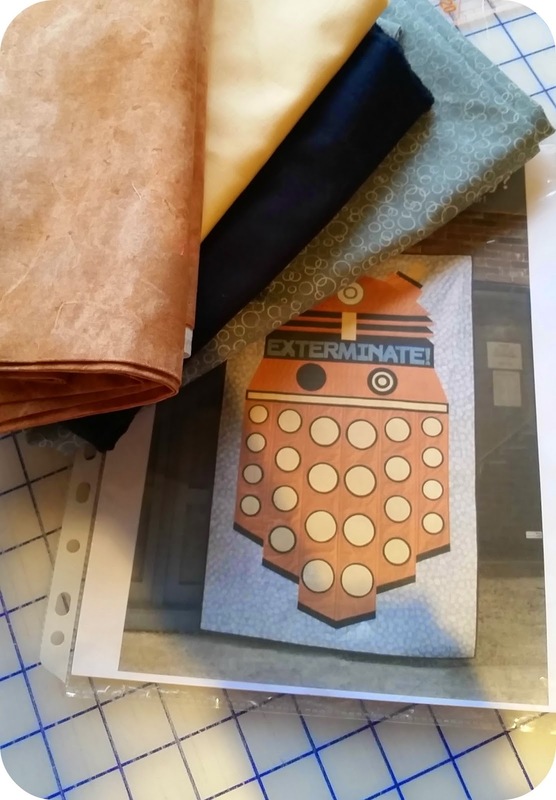 I didn't want to start a new project, I really do need to get the Dalek done, so I opened up my UFO bin and dived in. I dug out a quilt I started roughly 5(possibly even longer) years ago. It was a class but I never finished the quilt for two reasons; so many steps to get the block done where there are faster, easier ways to construct it and more importantly, the class was advertised as the quilt finishing as a 72inch square when it is actually for a queen sized bed-useless to me. 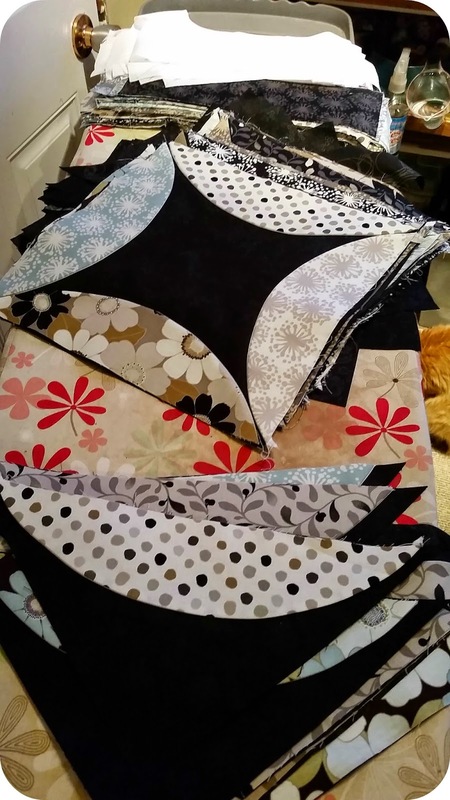 I did consider buying more of my fabric to make the quilt a king size but we had to scrap yardage together just to get enough fabric for my kit. I had a good stack of melons already ready to apply to my blocks so away I went. And soon I discovered that I was short yardage to cut out the last 6 background blocks. argh!! Luckily, I had enough yardage of a matching black print and I was able to get the last blocks cut. I have way too many melons to finish prepping for the last blocks but I got such a great (re)start on this quilt! I am planning to still make it queen sized. What will happen to it after that, who knows! That is going to be so pretty! Are the melons pieced or appliqued? I have yet to tackle curved piecing in quilts. I have done a fair amount in clothing construction and bags.